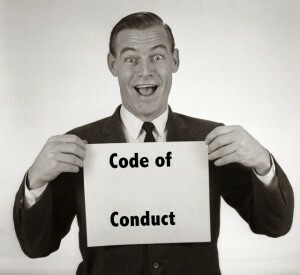 Wow, we have a code of conduct! But a code is not, never has been, and never will be a “compliance program.” Moreover, those who said this clearly did not actually read the Enron code. It was boring, ponderous text that read as if the sections were written by different people (mostly lawyers). Any experienced compliance person would have sent this code back to be ripped apart and redone. A book of boring text that employees could not have understood and would never have read is not a compliance program. It is not even a useful code.